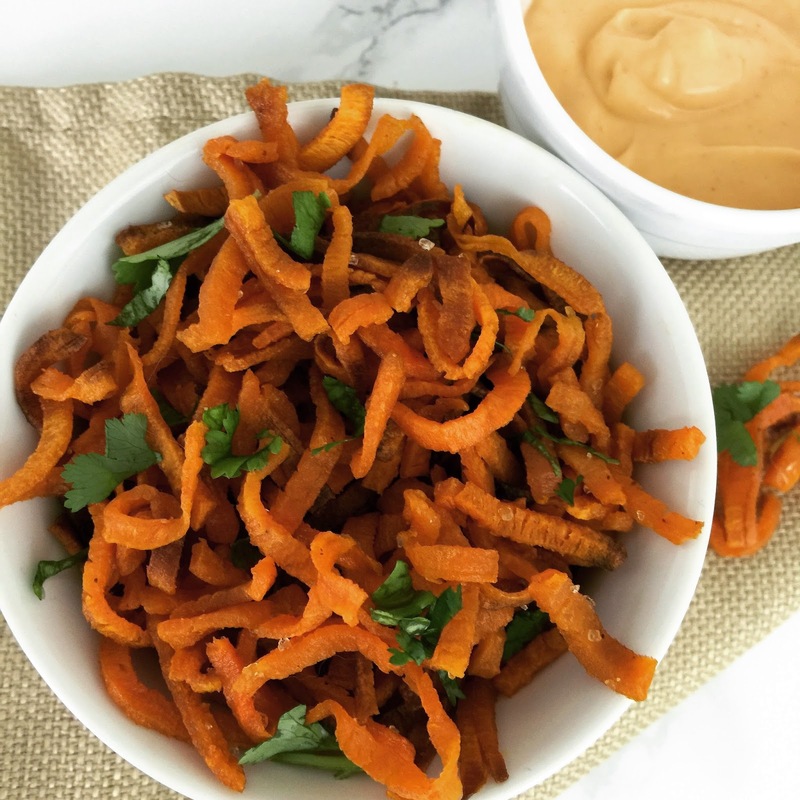 I love sweet potato fries, I really do... and honestly, I could eat an absurd amount of them in a single sitting, which is the exact reason why these baked, spiralized sweet potato fries are a great option. We all know that the spiralizer can create deliciously healthy meals using zucchini noodles, but this was my first time experimenting with a new vegetable. 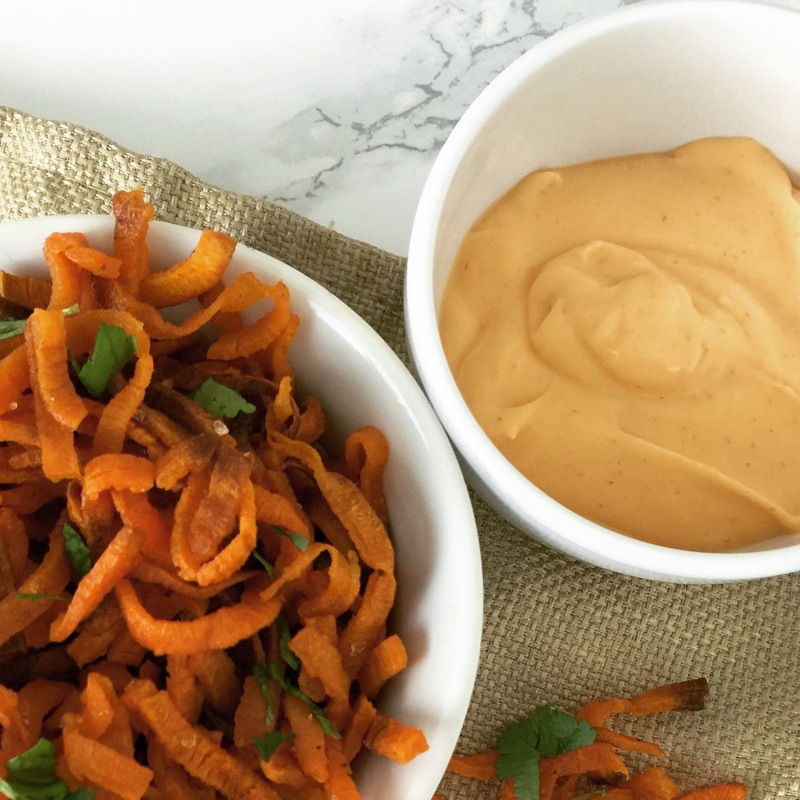 It takes a bit of muscle to spiralize the sweet potato, but the work is well worth it. What other veggies have you spiralized? I’m actually still not clear on the whole thing, so someone please feel free to enlighten me! ANYWAY, all you need are sweet potatoes (or yams? ), olive oil to coat the potato spirals, seasoning salt, and coarse salt (or, use brown sugar instead of salt if you like them sweet). Begin by peeling and spiralizing the sweet potatoes using the largest spiralized setting (no need to cut them short – they shrink up quite a bit). Next, toss the spiralized sweet potatoes with olive oil, seasoning salt, and coarse salt. Bake at 400 degrees for 20 minutes, flipping half-way through. Be very careful to watch the potatoes near the end of their baking time... they go from perfect to burned in less than 10 seconds! Garnish the fries with cilantro and serve with a yummy dip (I made a Sriracha mayo dip using 2 tablespoons of mayo and 1 tablespoon of Sriracha... delicious!). 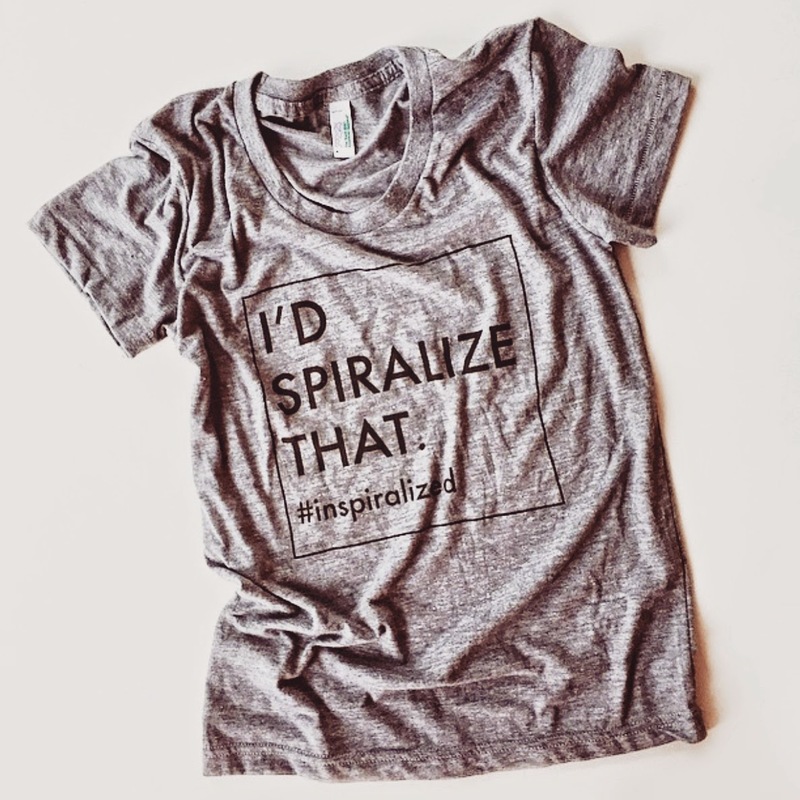 By the way, how fun is this t-shirt from @inspiralized?! Need! Linking up with Mary and Kate! Sweet potatoes in Rwanda are white and are actually sweet! But these look delicious! Love sweet potatoe fries! Yum yum yum!! I love sweet potato fries. It's on my list to get a spiralizer. This makes me want one even more! Ugh yes, these are perfection! The only thing I'm more excited to make than zoodles is sweet potato fries. I'll be trying this recipe tonight, no joke I have a sweet potato waiting! Pinning this for sure Lisa. Thanks for sharing at DDT. Oh and that shirt is awesome, haha! Those sound delicious! 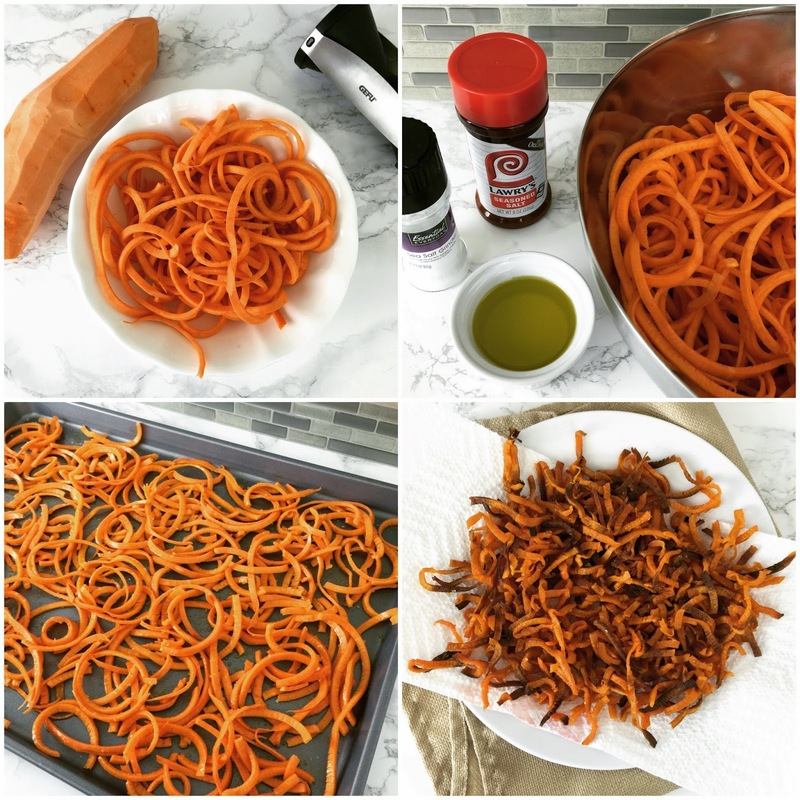 Love sweet potato fries, I need to give this version a try, thanks for sharing. amennnn! i love the recipe and that mayo sounds fab. i am so making these this afternoon! Oh wow these look delicious!!! These sound wonderful! I could eat handfuls and handfuls too! YUM!! Seriously, another reason I need a spiralizer!! These need to be in my belly!!!! I love a great sweet potato recipe!!! I am going to have to try these!!! They look delicious! I love making sweet potato noodles too!